18 Interesting Facts About Drew Barrymore | OhFact! 1. 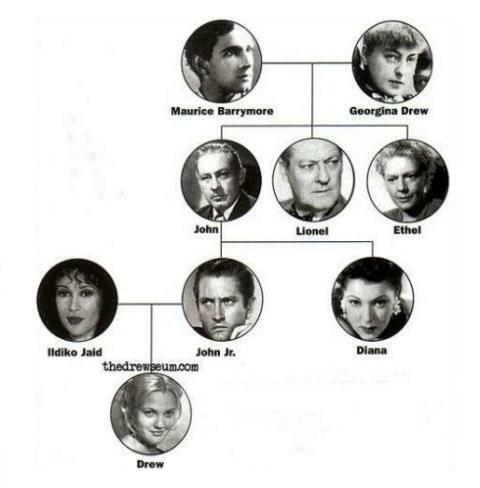 Born to the 5th generation of the Barrymore Family! Drew Blythe Barrymore was born in Los Angeles on February 22, 1975, to an American actor John Drew Barrymore and Jaid Barrymore, an aspiring actress. They divorced in 1984 when she was just 9. She has a half-brother and two half-sisters. 2. A drug addict at such an early age! When she was 9, she started accompanying her mother to night clubs, and it was at Studio 54 and the China Club, where she developed interests in drugs and alcohol. 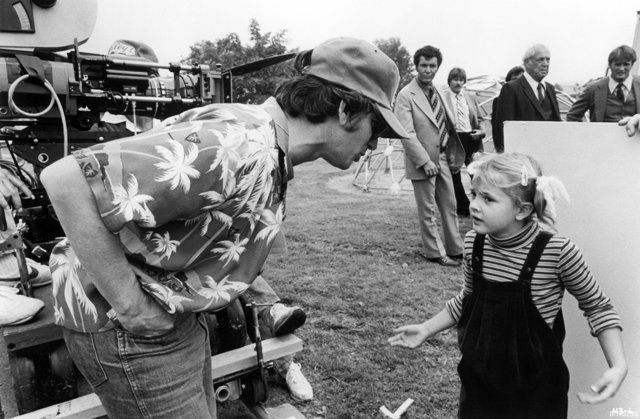 Famous director Steven Spielberg is Barrymore’s godfather, as he directed her in E.T. 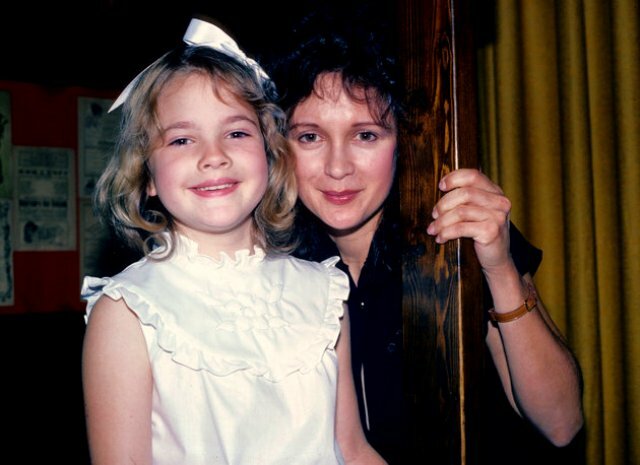 the Extra-Terrestrial in 1982 when she was a child. 4. Enjoys every bit of life! She loves doing photography, Yoga, and snorkeling. In 2001 her $3 million Beverly Hills mansion caught fire. Luckily, Barrymore and her then fiance, Tom Green were able to escape. It took around an hour for 55 firefighters in 11 engines to drench the flames. She is a huge fan of American actor John Malkovich and actress Jennifer Jason Leigh and enjoys watching movies like Harold and Maude, Paper Moon, Annie Hall. She likes The Beatles, Daft Puck, Coldplay, Lauryn Hill, Beck and The Strokes. In 2002, a punk band from York, Pennsylvania, recorded a song called “Barry Loves Drew Barrymore” on limited edition. 8. The secret food behind her healthy body! She likes to have peanut butter with bananas, macaroni with cheese, and grilled cheese sandwiches. 9. Her net worth would definitely tame you! Drew has a net worth around $125 million. She owns many luxury homes, such as an $8 million home in Los Angeles, a $7 million Mediterranean themed mansion in Montecito, California, etc. 10. She has a magnum heart! She has an interest in noble causes and has donated $1 million to the World Food Program to help children in Africa. Also, she’s an Ambassador against Hunger for the United Nations World Food Program and is also involved in the Pediatric AIDS Foundation. 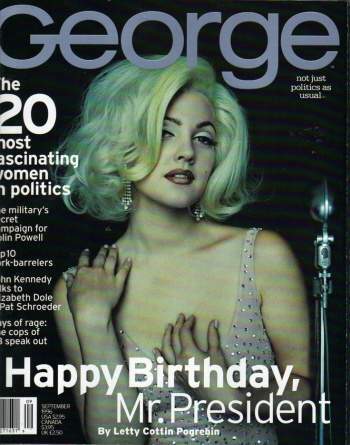 In 2006, at Bill Clinton’s 50th birthday, she posed as Marilyn Monroe on the cover of George magazine, to honor him. In 2008, she was ranked #40 on the Maxim magazine Hot 100, and also listed as one of the 50 Most Beautiful People in the World, by People magazine. 13. A holder of Guinness Book of Record! In 1990, she finished her autobiographic book called “Little Girl Lost,” when she was just 14. Due to this, she became the youngest person to write an autobiography by Guinness Book of Record. 14. The things that she doesn’t like! She has some allergy issues with garlic, bee stings, perfume, and coffee. 15. A reader beneath the actor! She likes to read books, like “The Happy Hocky Family” and “Flying Jake.”, and her favorite poet is E.E. Cummings. She has a great friendship with Cameron Diaz, since Charlie’s Angels. Also, a good friend of Nancy Juvonen, with whom she has a production company called Flower Films. 17. Same story of marriages and divorces! In 1994, she married Jeremy Thomas, a Los Angeles bar owner, but filed for divorce in less than 2 months. 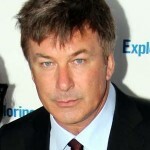 In 2001, she married Tom Green, an MTV host, and comedian, but divorced in 2002. 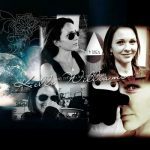 In 2012, she married Will Kopelman, an art consultant, and has two daughters: Olive Barrymore Kopelman and Frankie Barrymore Kopelman. Her awards list includes Golden Globes, Academy of Science Fiction, Blockbuster Entertainment Awards, MTV Movie Award, People’s Choice Awards, etc.